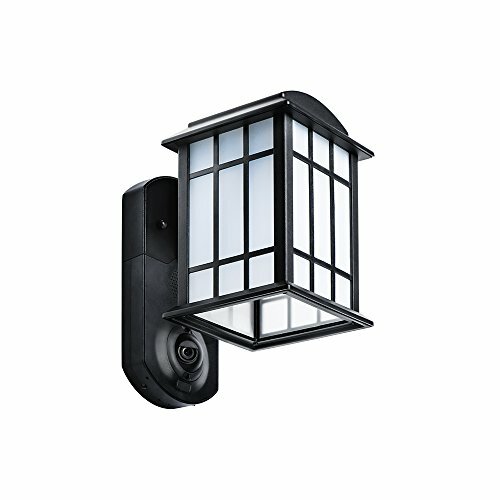 Maximus Smart Security Light, powered by Kuna Systems, is an affordable way to monitor the outside of your smart home. Pros: Affordable, easy installation, DIY/MIY security, Alexa enabled. Cons: No third-party security monitoring, long delays for voice and video. Buying a light fixture for your house, especially one that's outside and greets you when you come home, feels personal. It's important the light functions properly and is easy to install—and also looks like home. Kuna Systems sent us their Maximus Smart Security Light to test, and we spent some time with the device, which we found not only decorative, but also intriguing in its ability to combine voice, security, smart lights and a video doorbell. The Maximus Smart Security Light comes with a light fixture, an LED light bulb (40 Watts) and two mounting brackets with two long screws and nuts. The unit we tested had a casing made of a cast aluminum light sconce with a frosted glass cover. The light includes a high-quality plastic backplate for greater Wi-Fi and Bluetooth signal strength and is also weatherproofed. The mounting procedure was easy, especially if you are replacing an old outdoor light fixture. You will need three things: a step ladder, silicon sealant (which is optional) and a Philips head screwdriver. If you are installing your Maximus Smart Security Light in a new location, you might need additional tools. Also, make sure you follow the safety instructions which are included in the box. After turning the power off and removing our old light, we used the supplied fixture holders and fixture screws length indicator to mount the bracket for the Maximus Smart Security Light. The fixture screws length indicator made installation easy and we recommend using them to select the right length of support and bracket placement for your Maximus Smart Security Light. Next, we connected the appropriate wires and mounted the Smart Security Light. If you have any problems with installation, you can go to either Maximus web site (Smart Security Light product page) or to the Kuna web site and watch the "install videos." These videos are very helpful and can answer a lot of questions around installation and operation of Maximus Smart Security Light. There are also help guides and a way to contact support if you don't find what you need on either site. Next, we downloaded the Kuna app and paired the Maximus Smart Security Light with our smartphone. The Kuna app is compatible with iOS devices running iOS 7 and above (iPhone 4S and above, and iPads enabled with Bluetooth 4 capability). They also support Android devices with Bluetooth LE: 4.3 (Jelly Bean) and above. Also, keep in mind the device works on Wi-Fi and runs on 2.4GHz only. Once you download the app, make sure it has the most updated firmware. If not, take the time to update—this may take . about 15 minutes to update but it's worth it ,and will make the rest of the installation process run smoothly. Once paired, you are ready to go. 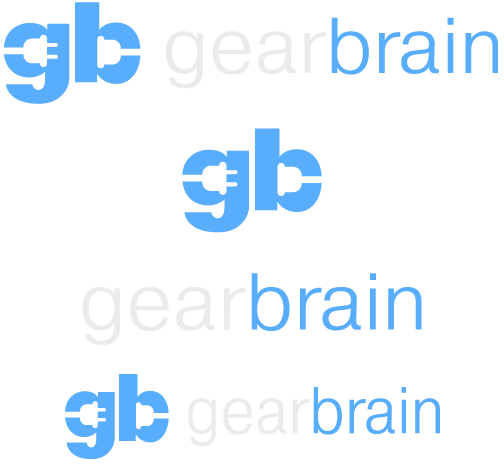 For testing purposes, GearBrain worked closed with Jack Tulley of Lite Tech, a division of Brazill Brothers & Associates, Inc and a proven leader in commercial and residential lighting and design. When testing the LED light in our Smart Security Light, we found the supplied 40 watt LED light generated a good warm color but was too dull. Per Kuna, the device is compatible with standard-size LED, CFL, or incandescent bulbs up to 100W. We check the lumens on the supplied light and found the lumens per watt was not strong enough. The bulb was generating about 450 lumens which is equivalent to 40 Watt bulb. We would recommend using a incandescent bulb with at least 60 watts or 880 lumens. If using an LED bulb, you will not need more than a 20W LED to get the proper light for your Maximus Smart Security Light. 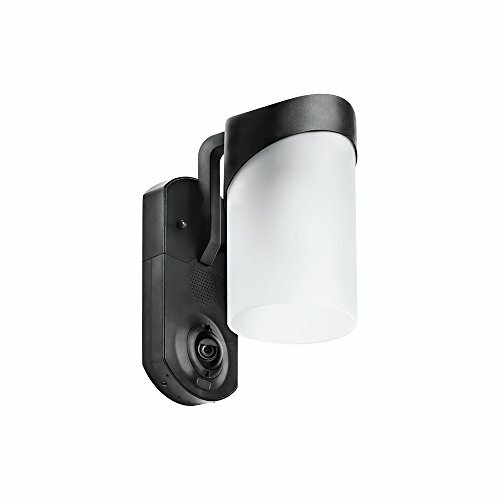 In addition to lighting, the Maximus Smart Security Light comes with a camera and sound. Your light has a HD camera with full color 720p H.264 resolution. Its field of view is 116 degrees diagonal with a manually-adjustable viewing angle. Your Smart Security Light also has a two-way audio intercom and siren that can reach 100+ decibels. When we tested it, it was pretty loud. You can even set up a pre-recorded message or chime to go off automatically when someone is walking up to your door. The device also has a passive infrared sensor to help if detect motion. Contemporary - $179 or $248 for Light plus a matching companion light. Traditional - $179 or $298 for light plus a matching companion light. Amazon Alexa voice enabled. Download the skill on Alexa app. 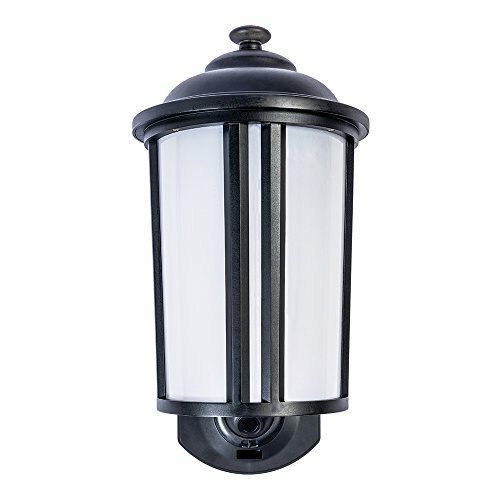 Maximus Smart Security Light is also available on Amazon, HomeDepot.com and BestBuy.com for $179. Coming in Q2 2017 is the new MAXIMUS Smart Motion Security Light and it will be priced at $249.99. Kuna Systems offers DIY/MIY home security. It will record events and send you alerts so you can sound the alarm from where ever you are located. But know it's not hooked up to any third-party monitoring service. You will need to call the authorities if an intruder doesn't run off on his own. Essential Security ($4.99 per month per device billed annually or $7.49 billed monthly). This plan is ideal for smaller homes with single entry point. Comes with review, rewind and downloads of last seven days of events, smart detection event and unlimited number of events. You also get unlimited HD downloads, animated thumbnails, 5 percent discount on future Kuna products and lifetime theft protection. Peace of Mind Plan ($9.99 per month billed annually or $14,99 billed monthly up top four devices) – this plan is designed for homes with multiple entries. The plan gives you the same as Essential Security but you can go back 14cv days instead of seven. You also get up to four devices and a 10 percent discount on future Kuna devices. Absolute Control Plan ($19.99 per month billed annually or $29.99 billed monthly up to 8 devices) – this plan is for large homes wanting maximum coverage. The difference between this plan and the others is you get more devices, 30 days of review, rewind and downloaded videos. Also, you get 15 percent discount off all future Kuna devices. 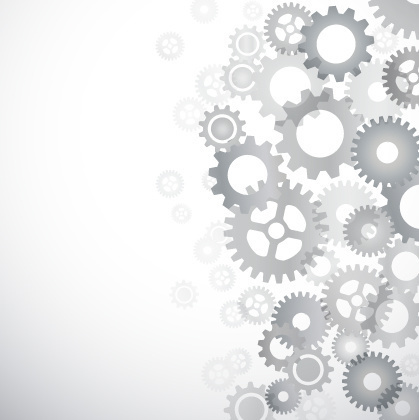 Kuna plans do not require a contract or have any hidden fees. You can call them any time to cancel, upgrade or downgrade with no penalties or deductions. Also, Kuna stores all your videos in their secure cloud, which is protected by 128 bit AES encryption and bank-level SSL encryption. We really liked this Maximus Smart Security Light and recommend it to any home owner looking for a decorative outside light that can also function as an outdoor light, security camera and video door bell. The automated greeting function was a nice touch. We were testing the device during the holiday season, and there were several pre-recorded holiday greetings. That was a nice touch. You can choose from a list provided by Kuna or record your own personal greeting. The two-way intercom was clean and you can easily talk to visitors without shouting. There was about a three second delay from voice to your smartphone and a little longer delay when looking at the video. This seemed a little long to us. Another feature we liked was the integration with Amazon Alexa Voice Control. We connected the Smart Security Light to a Amazon Echo and found it was quite easy to set up the Alexa skill to operate the Maximus Smart Security Light by voice. When considering the cost of the device, we think it's very affordable. If you were thinking of buying a video doorbell (i.e. Ring - $199), Maximus Smart Security Light could be a good alternative if you have a place for the light. If you need an outside decorative light ($150 est.) and a good HD security video camera (i.e. $179 for Nexia HD Outdoor camera), you would spend over $300 for the two devices. Maximus Smart Security Light is a bargain for $179. And if you wanted to get all three functions and voice activation in one device, it could cost you over $500 for all three products. As you can see, Maximus is looking very good. Overall, Maximus Smart Security Light is a nice addition to any smart home that has Wi-Fi or Bluetooth. It's also good if you have those wireless connections and Alexa running the show or if you are considering a video door bell. GearBrain recommends Maximus Smart Security Light as long as you have the space for the light.